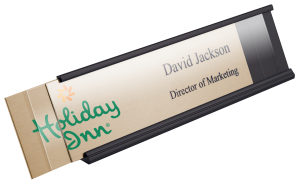 Executive Desk Plates make great gifts! 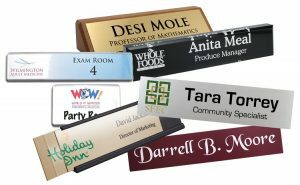 Here at Name Tag, Inc. we get a huge surge of desk wedge orders every holiday season. 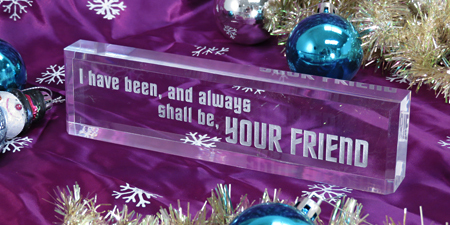 They make fantastic gifts! 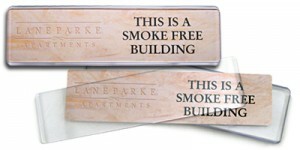 So this year we are going to try and help ease the stress in your check book with this fantastic offer! 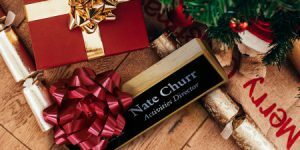 Click the link below to get your order started today! 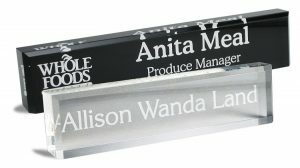 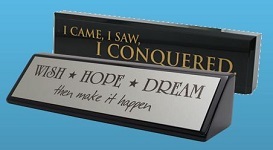 Posted on October 30, 2013 March 12, 2018 Author Haelee WoodCategories Our ProductsTags 10% off, executive desk wedges, modern name plates, promotion, saleLeave a comment on Executive Desk Plates make great gifts!